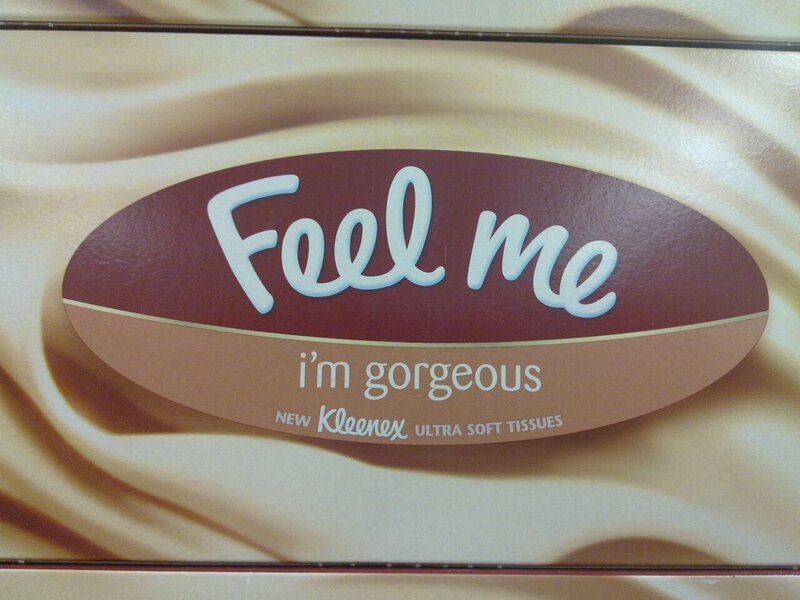 World's leading tissue brand Kleenex has launch a new "Me" brand: "Feel Me". Feels good. Looks good on the shelves in Sainsbury's too. A bit pricey though, and yet the message cannot be missed. 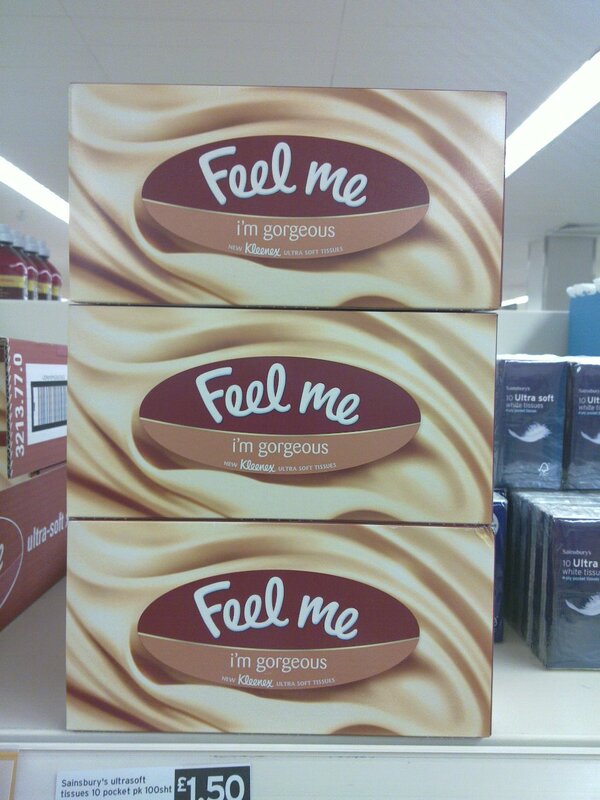 I guess "i'm gorgous" does the trick. 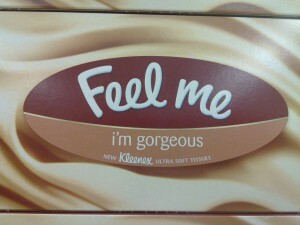 Next time they should try "gorgeous me".